Businesses with effective work flows are significantly poised to take advantage of new opportunities to grow their business. Those businesses that maintain the ‘Status Quo’ are doomed to struggle no matter how great a break they might find. 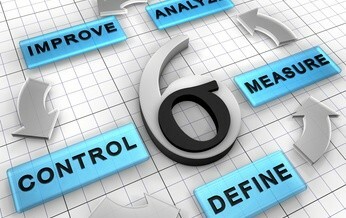 Yes, your business could use process improvement. Unless you have just recently overhauled your business processes, you are likely missing out on better ways to conduct your business. Most small to mid-sized companies focus on the day-to-day business, creating processes and work flows which solve an immediate problem. Many owners, operators of these businesses will admit that even when they first instituted the solution to a new problem, they new there was probably a better way. Years may go by, and still the original solution remains in place causing backups and frustration to employees and customers. you guessed it, process improvement. Every good business owner knows to surround themselves with the best talent possible and delegate, delegate, delegate. The business owner who can relinquish control when appropriate, is the wise and successful entrepreneur, with time to focus on the ‘Vision’. The ‘Too Busy’ business owner is a crisis manager who creates patchwork solutions to keep his operation going. Running in infinite circles, he has no time for ‘Vision’. When business processes are re-engineered immediate benefits ensue. Employees who felt overburdened by daily tasks that once consumed their workday, are suddenly available to help with problem solving. Orders or services are completed more quickly. Customer satisfaction improves and most importantly, the CEO has time to lead, time to forge an effective ‘Vision’ for the company.